Set the scene with LEGO Harry Potter sets & enjoy this magical Free Printable Harry Potter Activity Pack! To all my fellow Harry Potter fans (young and old), I've got a fun post for you today! When we received this new LEGO Harry Potter set, I felt that same surge of excitement as I felt when I purchased my first Harry Potter book. 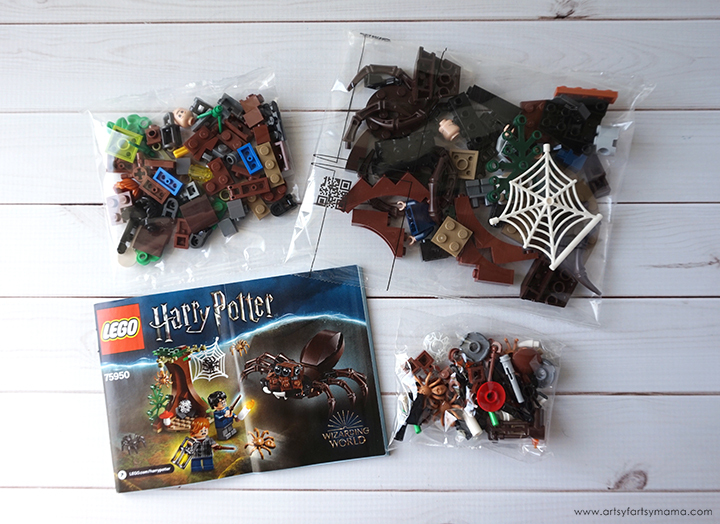 Putting this LEGO Harry Potter set together inspired me to create a Free Printable Harry Potter Activity Pack to share with all of you! 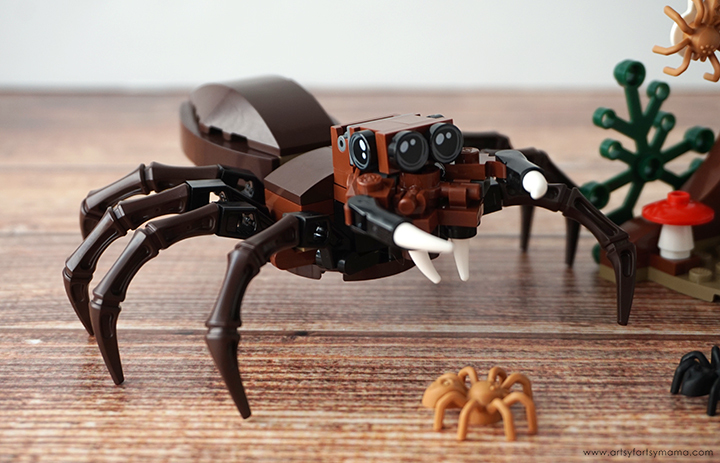 Get set for a spider showdown in the Forbidden Forest with this exciting LEGO Harry Potter and The Chamber of Secrets Aragog's Lair! 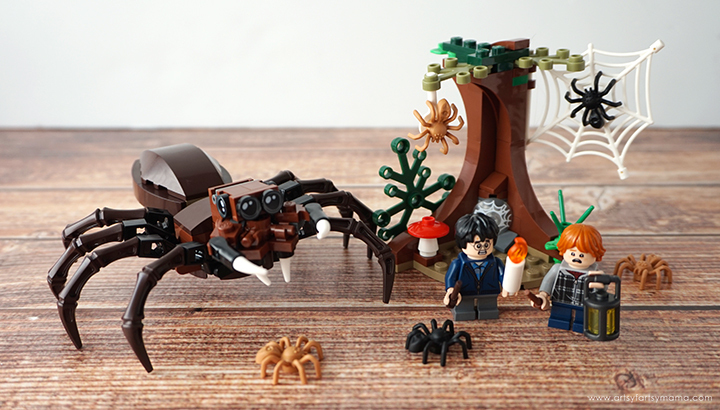 This magical set allows you to recreate the classic scene from Harry Potter and the Chamber of Secrets, including 2 minifigures and a buildable Aragog spider. This is a great set for any Harry Potter fan to own. It is inexpensive and very fun to build! Younger fans will have a wonderful time playing with it and it also looks great as a display piece for us older fans. 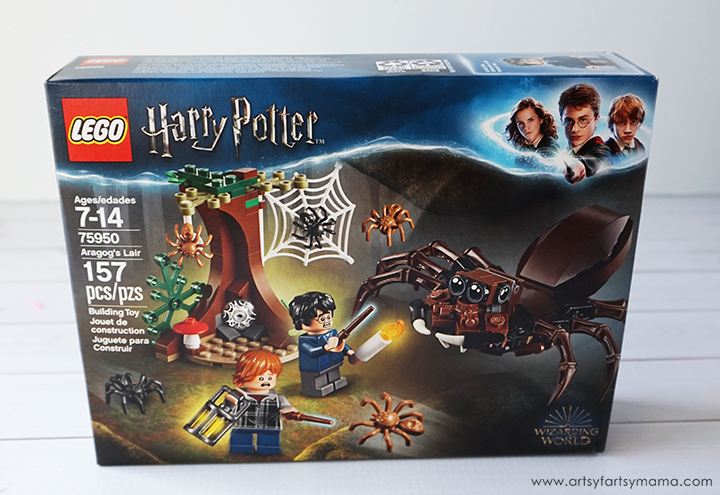 Recommended for ages 7-14, Aragog's Lair contains 157 pieces and offers age-appropriate build and play experience. The pieces come in separate pre-packed bags, and include stickers and illustrated instructions. Aragog was a little more challenging of a build, but definitely worth it! He has 8 posable legs and 2 movable fangs, which allows for a lot of movement once he's put together. You can then surround Aragog with his included colony of 5 black and brown spiders! 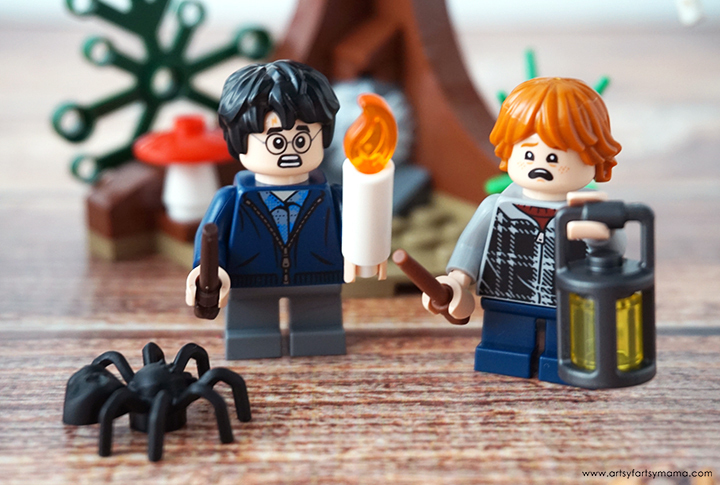 The details on the Harry Potter and Ron Weasley minifigures are spot on! I love that you can turn their heads around to change their expressions from terrified to happy. They also come with wand accessories, as well as a lantern and candle for their expedition to the Forbidden Forest. The last build in this set is a buildable tree with a large spiderweb attached for the smaller spiders to hang out on. The best part about this tree from the Forbidden Forest, is that you can help Aragog by firing the tree's working spiderweb shooter to trap Ron and Harry! I love how LEGO inspires imagination and creativity. My daughter has spent hours playing with this set, recreating this scene with Aragog as well as some new adventures with Harry and Ron! Whether it's in the classroom or at home on a rainy day, kids of all ages are going to love these magical puzzles. I've also made the "Harry Potter" and wand outlined so that these can also double as coloring pages. So grab your crayons or colored pencils, and let's get started! 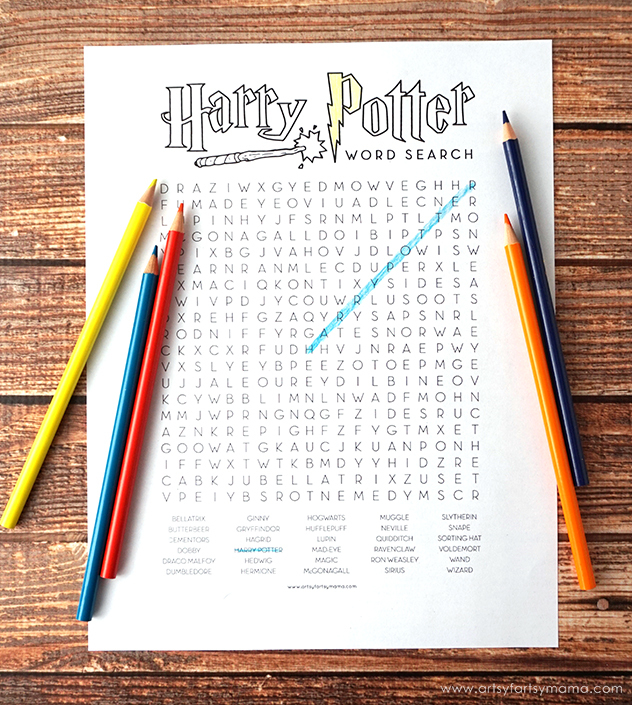 There are 30 Harry Potter character names and vocabulary words to look for that will be horizontal, vertical, diagonal and backwards. The printable download also includes the solution to the word search. 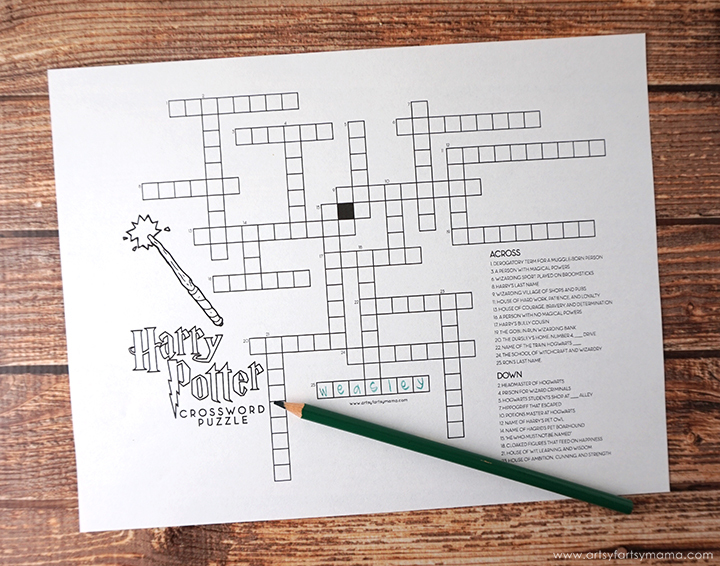 Crossword puzzles are a fun way for kids to learn some Harry Potter vocabulary and to practice handwriting! 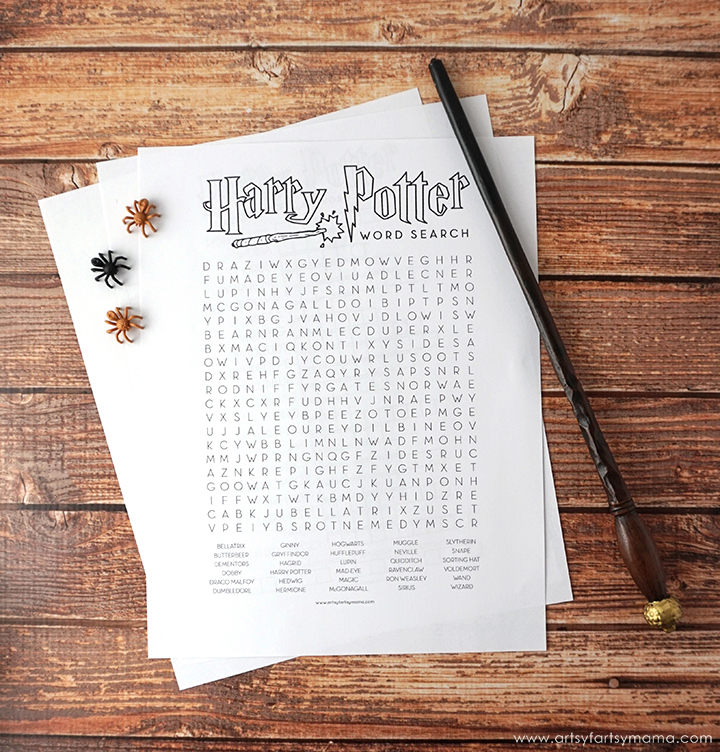 There are clues listed for 25 Harry Potter themed words to fit in the horizontal and vertical numbered squares. The printable download also includes the solution to the crossword puzzle. 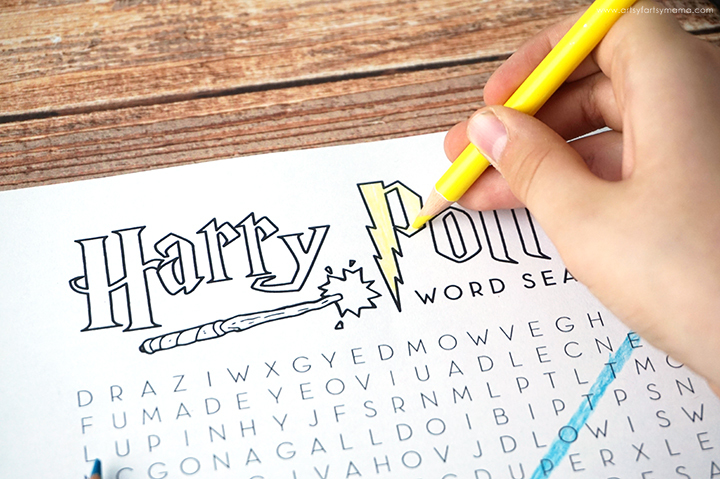 The Harry Potter Word Scramble is two puzzles in one! 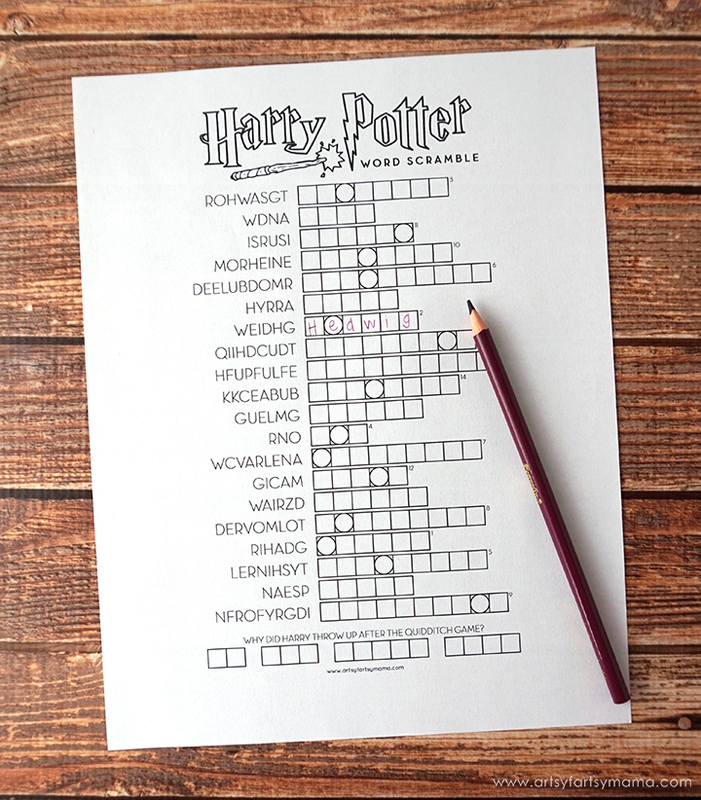 First, you need to unscramble the words from Harry Potter and write them into the adjacent squares. Next, write letters that end up in the circled spaces in numbered order in the empty spaces at the bottom to get the solution to the Harry Potter joke. The printable download also includes the solution to the word scramble. 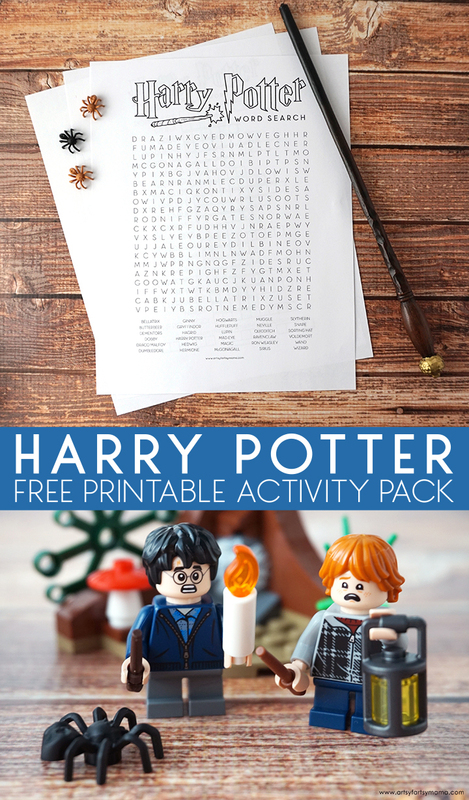 I hope you have a great time with the Free Printable Harry Potter Activity Pack and playing with all of the LEGO Harry Potter sets!